I have to start with my absolute favourite place to spend an evening at Citywalk. 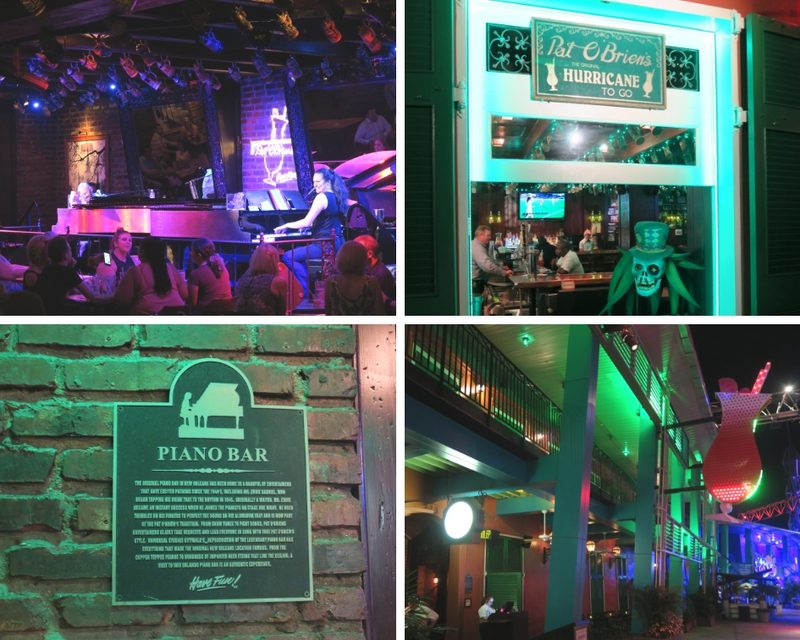 Pat O'Brien's has been a Citywalk fixture for almost 20 years and is home of the Duelling Pianos and the famous Hurricane Cocktail (you get to take home the souvenir glass!). The pianists are amazing!. Just write your request on a napkin, throw in a couple of dollars and they will play pretty much any tune you want! They are so talented!. It's the perfect place to spend a relaxing evening with great music and great drinks from their full service bar. If you have never been to Rising Star you are missing a treat! Most karaoke bars would have me running very quickly in the opposite direction but this is karaoke with a difference. Instead of the usual backing track to accompany the singer there is a full live band. The choice of songs is extensive and the backing music is nothing short of amazing. Some of the singers are out of this world and even if you don't sing karaoke yourself its so much fun to sit in the audience with a drink and cheer on the talent! 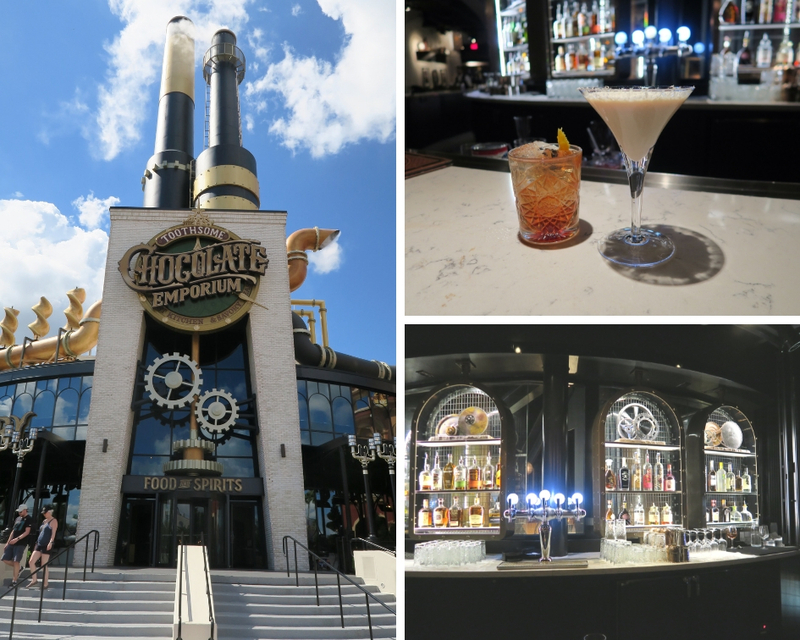 If you want to indulge in some steampunk themed treats and delicious chocolate cocktails look no further than Toothsome. Yes, the queues are often lengthy and the wait for a table can be long but pop to the bar and order a cocktail while you are waiting and the time passes so much more quickly! I adore the White Chocolate Martini, it's so indulgent and Mr P loves the Whiskey Flight with his favourite Blantons Whiskey. They also make the most Instagram worthy milkshakes! The red velvet is our favourite but don't try to polish it off on your own, it's huge! If you are eating at Toothsome we highly recommend the Chicken Bourguignon - its rich and delicious. 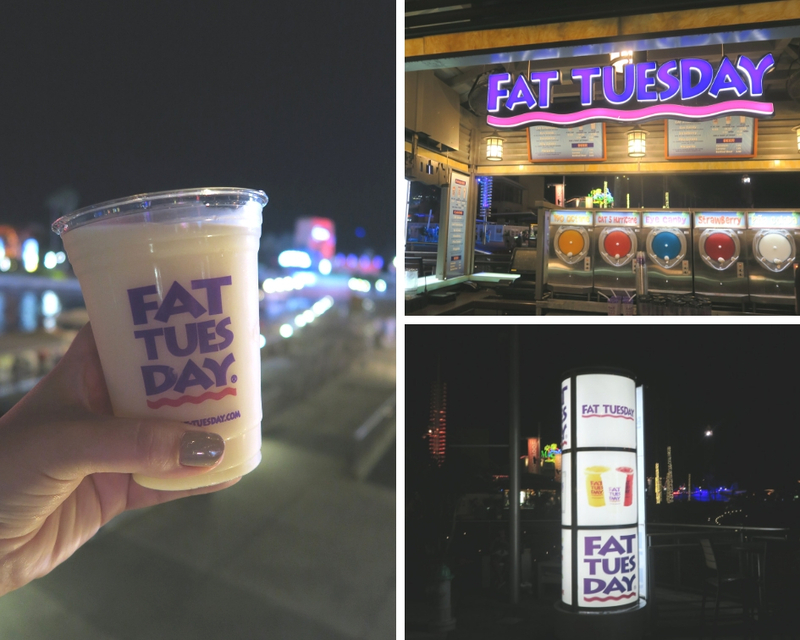 When early evening arrives at Citywalk, there is nothing more relaxing than sitting at the side of the lake with a frozen cocktail in hand, especially if it's a frozen Margarita or Pina Colada from Fat Tuesday's outdoor bar. If you are feeling particularly daring ask the bar tender to pop an extra shot into the top of your drink!. However, don't underestimate the strength of these cocktails! They are more potent than you may think! 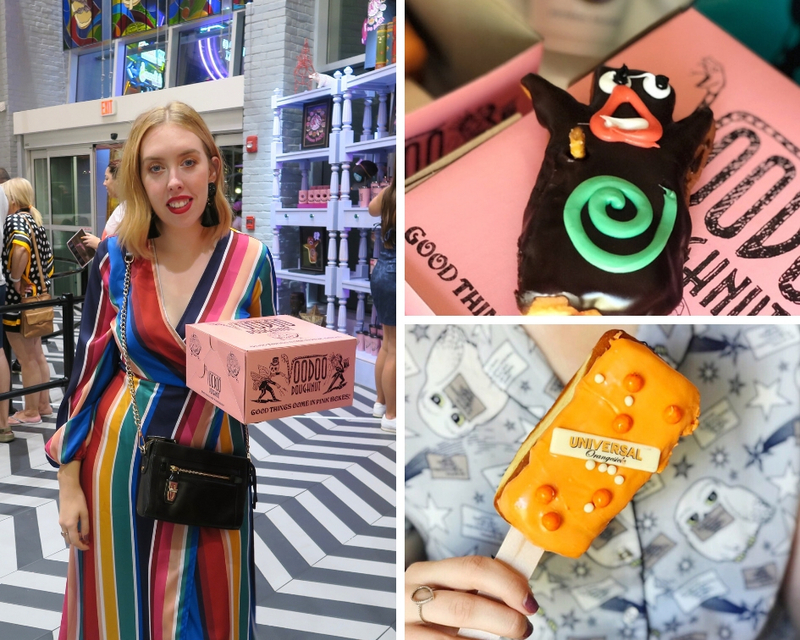 Voodoo Doughnut has been a HUGE hit since it opened at Universal Citywalk in 2018. It usually has a pretty big queue but if you are yearning for a delicious doughnut get in line! The line goes down quickly and there are plenty of sights to keep you amused while you are waiting. Browse the merchandise and make your doughnut selection from the central turntable while you wait to be served. 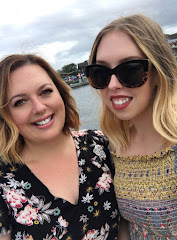 We struggled to choose as we wanted to try so many! We settled on the Universal Orangesicle (amazing! ), the Voodoo Doll (amazing! ), the Halloween Horror Nights (amazing!) and the Apple Fritter (ugly but amazing!). You see the theme here! They are all amazing! Do yourself a favour and grab a Voodoo Doughnut when you are next a Citywalk, you won't regret it! So there you have it! 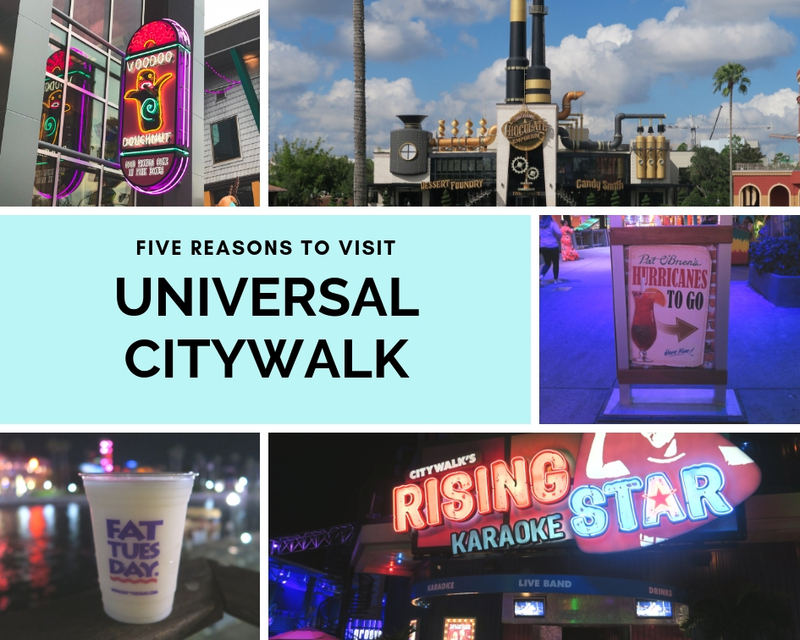 My Top Five Reasons to Visit Universal Citywalk. If you are yet to take advantage of all that Universal Citywalk has to offer you are missing a treat! Get yourself along on your next visit. Maybe I'll see you there!